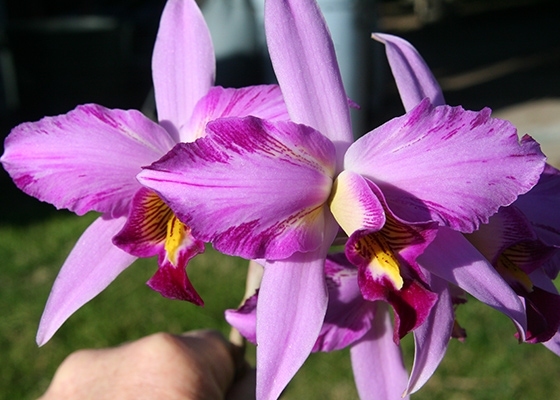 Another great feathered Laelia anceps. The sepals are solid lavender-pink, but the true petals have a "splash" pattern that results in very attractive feathery markings of vibrant magenta. .Temperature Tolerant. December blooming. Species from Mexico.